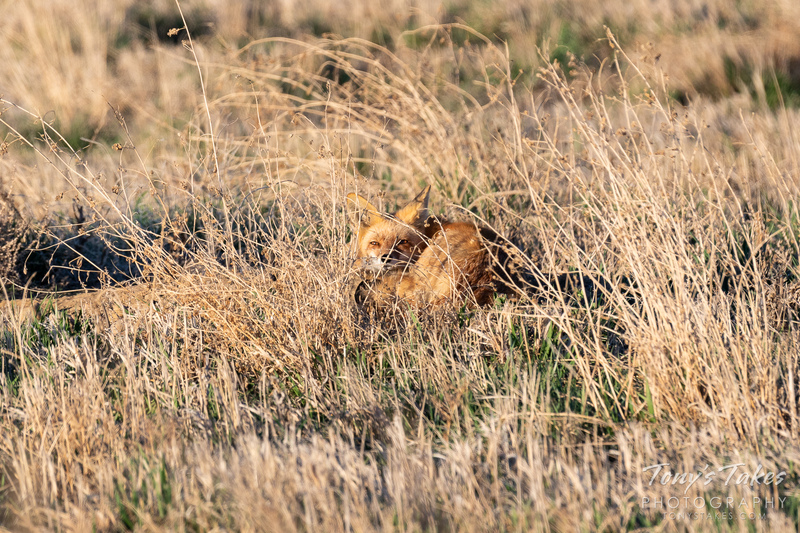 A few more captures from my encounter with this fox a couple weeks ago. It was absolutely gorgeous with its full, winter coat. 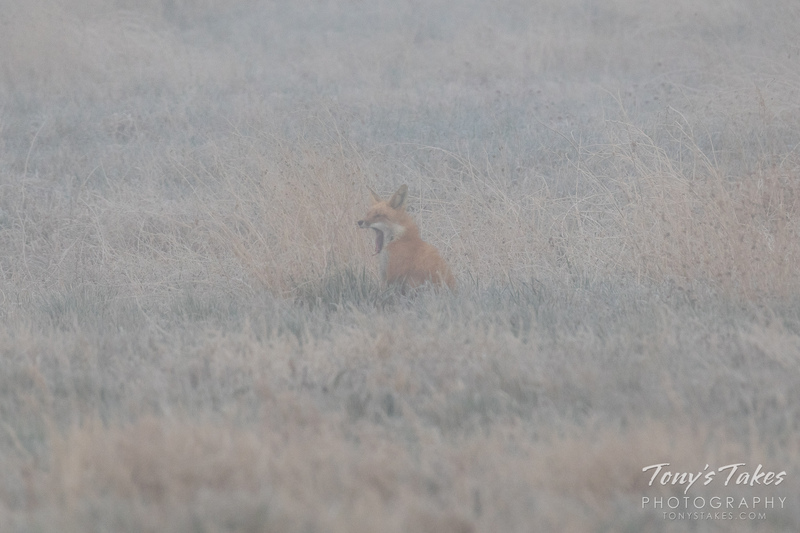 The contrast of that red fur against the beige stubble in the field and white snow was stark and really made the fox pop. 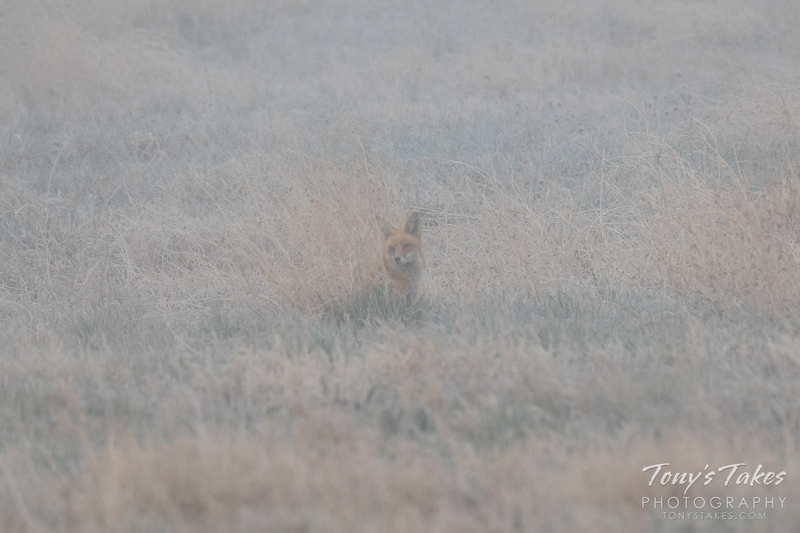 As common as foxes are, they are not particularly common to photograph so I am definitely keeping my eyes out. If anyone has a line on any along the Colorado Front Range, particularly in the north Denver metro area, please do drop me a note. 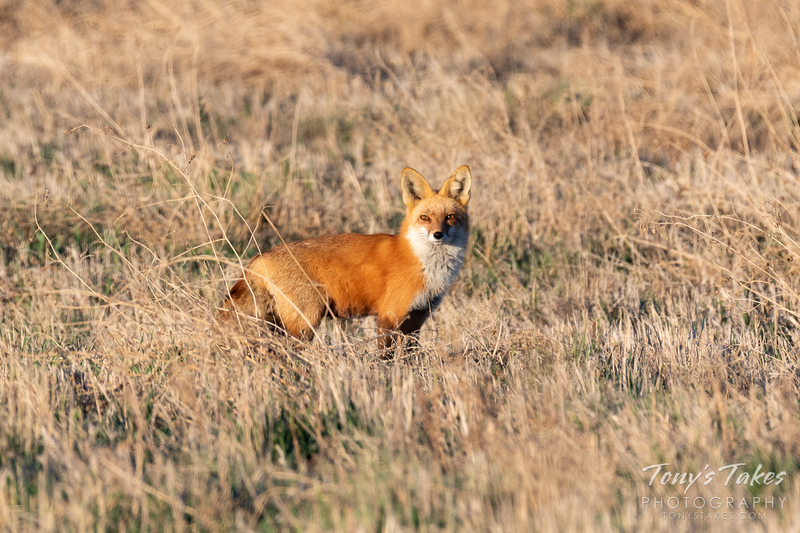 Going back to a couple of weeks ago when I spent an evening with this Red Fox family. The little kit had a hard time keeping up with its bigger siblings and was quick to cling to mom when she came back for a meal. I haven’t been able to see them since as she moved the den but am hoping I get another chance in the coming weeks. Oh my! Just look at those little faces! Already having two dogs, we have no interest in any other pets but my wife said that we could definitely take one of these home. Haha! Of course we can’t and wouldn’t but they are so irresistible and adorable. I revisited this den earlier this week after a couple of previous attempts where I came up empty handed. This time I had much better luck as I was greeted by these two and six of their siblings. All eight were bounding around and playing in a display that had me grinning ear to ear. At one point, these two ventured apart from the crowd, investigating this new world around them. It was then that I snapped this picture of them.